Walking back through the files, part two. Being a pro means you must constantly keep learning and sharpening your skills. One of the things I like to do is to review older images, and revisit the post processing to apply some of the things I’ve learned over the years. 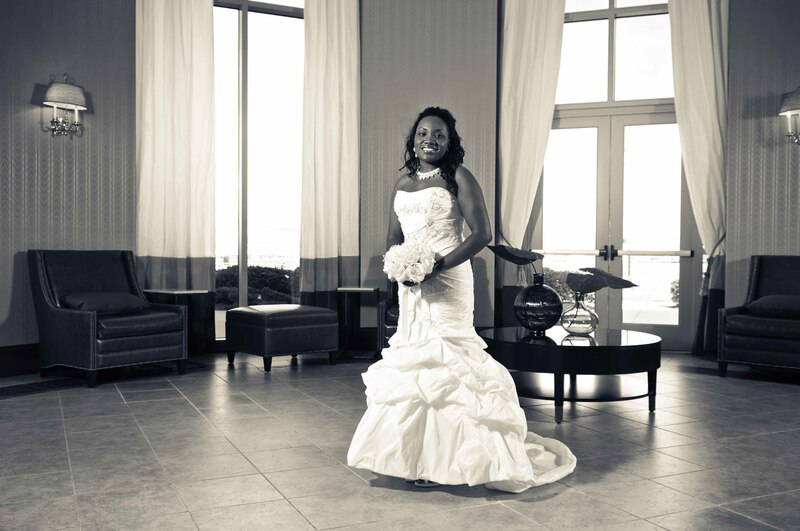 This is an image of a lovely bride, Shereeva, who I photographed at the Renaissance Hotel in Portsmouth two years ago. This was an image I passed on the first time. This time I revisited it in B&W, with a taste of both warm and cool tones and a little digital schmutz for the background. Have definitely learned some post since these images were created.